Constructing a bar is an easy task. The key to success is keeping a few simple tips and measurements in mind. 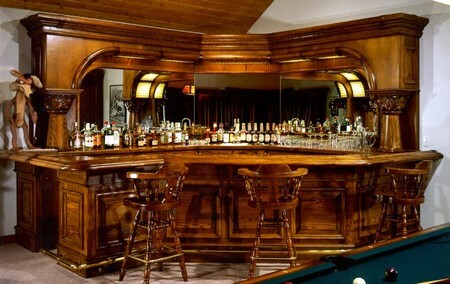 Whether attached to a wall or free standing, a bar will be the perfect centerpiece for parties and social gatherings. Measurements – You want to make sure to get the measurements right. This is particularly true if you are dealing with a small space. You should lay out your bar so there is enough room for someone to walk behind, plus half their width again. The height should be within one inch of 44″. 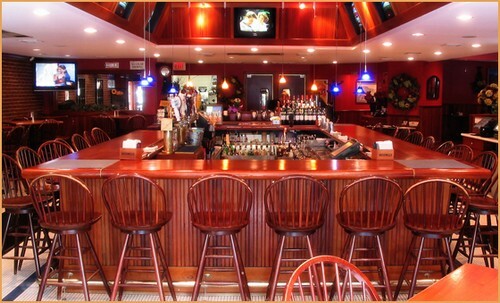 The distance from the floor to the bar top should not exceed 45″. Allow a box width wide enough to support your top. Remember to allow for a one foot overhang on the patron’s side and an 11″ overhang on the bartender’s side. In addition to the size of your box, consider the area behind the bartender for ease of movement. Box Building – In this step you are building a box to support the bar top and other accessories to the bar. Allow for the top of the bar to reach 45″. If your plan includes sink or cooler areas, now is the time to include them on your floor layout. Each horizontal corner of your box should have triangular 45-degree blocks drilled for screws. Install these blocks in horizontal corner places after tack nailing a rectangular box into shape. These corner pieces will help stiffen the box. If you are constructing a longer bar, studs and joists should be placed at even intervals to accept a face coating. Dressing Out The Box – At this stage you will want to add support members to accept shelving, sinks and coolers. You can use 2″x4″ stock, but thinner, cheaper stock may be the way to go. As you look at the dressed-out box, consider where the holes will go for faucets, drain lines and electrical cords. You should already have this information floating around in your head. Now is the time to commit to placing the holes for the selected amenities. Top Placement – If you are using wood, pick your type and cut to shape and size. Stain to taste. If you are using a stone top, call for a box inspection by the manufacturer (this is so the box frame can be deemed fit for the weight of the stone top).